On Friday morning at FC Barcelona's training center, 11 players underwent preseason physicals before rejoining the team for training. 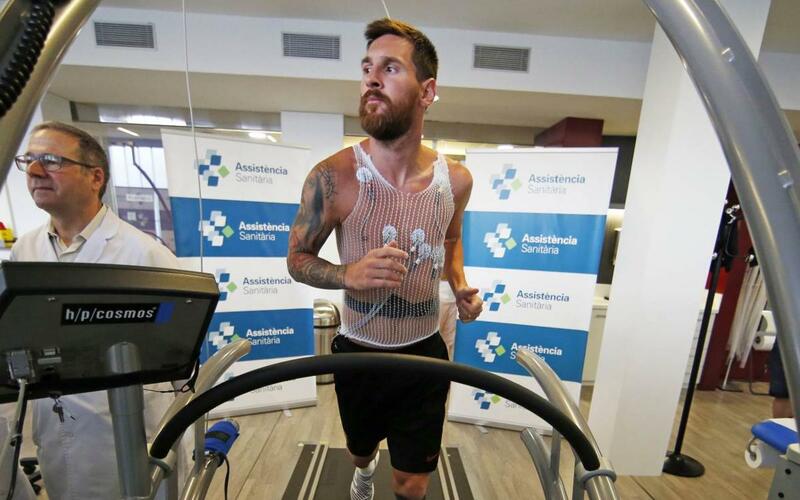 The following players had their annual medical checkups: Andrés Iniesta, Sergio Busquets, Jordi Alba, Denis Suárez, Lucas Digne, Samuel Umtiti, Leo Messi, Neymar Jr, Gerard Piqué, and Arda Turan, the latter four having just returned from Japan, where they had been promoting the Club's new sponsor, the Tokyo-based company, Rakuten. Gerard Deulofeu, who the Club recently repurchased, also underwent medical testing before he was expected to sign his deal with Barça at midday. The 11 players underwent a series of tests, including strength tests and foot exams, among others, just as their teammates did on Wednesday, when the preseason officially opened. Once all the players are cleared, they will join the rest of their teammates at Friday afternoon's training session, the fourth of the Ernesto Valverde era.